[toc]Congestive heart failure occurs when the heart becomes too weak and energy starved to be able to pump blood normally to satisfy the needs of the body. The blood may pool inside the heart and in the veins around it, causing fluid retention in the area, especially the lungs, abdomen and legs. Symptoms include breathlessness, muscular fatigue, coughing and wheezing, and swelling of legs, ankles, and abdomen. The major cause of this serious medical condition is coronary heart disease, along with conditions such as, hypertension, diabetes, obesity, other heart diseases and a past history of heart attack. Many other factors such as, smoking, alcoholism, nutritional deficiencies, stress, etc. also might contribute to the development of this condition. Congestive heart failure is more commonly seen in the elderly. The survival rate depends on the extent of damage. 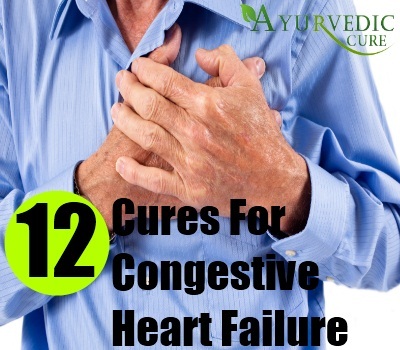 At early stages, these natural cures are very beneficial for people suffering from congestive heart failure. The antioxidants in green tea help increase good cholesterol levels and improve arterial function, which is very beneficial for people suffering from congestive heart failure condition. 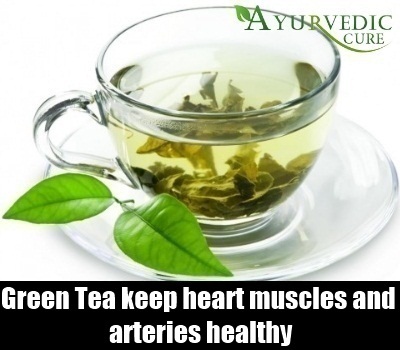 So, have at least five to six cups of green tea daily in order to keep your heart muscles and arteries healthy. It also aids metabolism and keeps your organs functioning well. Congestive heart failure can cause irregular heart rhythm, heart palpitations and atrial fibrillations, which are dangerous conditions. The omega3 fatty acids help to reduce the risk of development of these symptoms in people suffering from congestive heart failure. It also helps reduce high blood pressure which is a risk factor for the development of congestive heart failure. You can eat cold water fish like tuna or salmon to get this oil naturally, or have fish oil supplements regularly. High cholesterol levels in your blood can also lead to the development of congestive heart failure and worsen its symptoms in people with this condition. 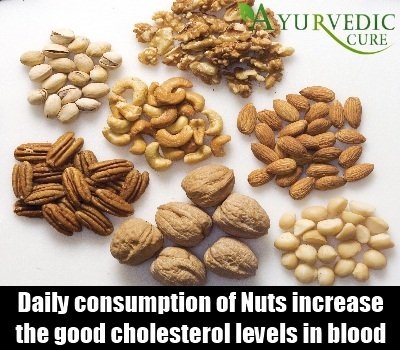 Daily consumption of a variety of nuts can benefit you immensely as they help to increase the good cholesterol levels in your blood. The increase in HDL levels will help improve the health of your heart and make it stronger. Walnuts, peanuts, macadamia nuts, almonds and pistachios are some of the nuts that you can consume as a natural cure for congestive heart failure. Oatmeal is much superior to other wheat products and is rich in nutrients that will help to decrease your bad cholesterol levels, which might be the cause behind your congestive heart failure. 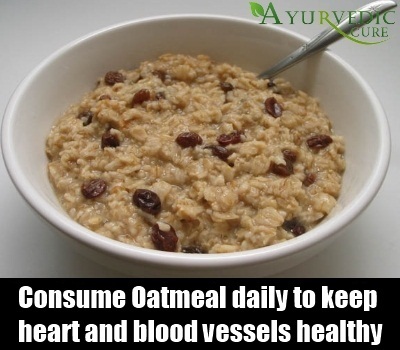 Have oatmeal regularly for breakfast in order to keep your heart and blood vessels healthy. This will prevent any heart diseases, thus decreasing the risk of congestive heart disease. Clinical studies have confirmed that there is a considerable amount of improvement in the patients of congestive heart failure when they take CoQ10 regularly for six months. It helps the heart to pump blood effectively, and hence is a very useful natural cure for the treatment of congestive heart failure. 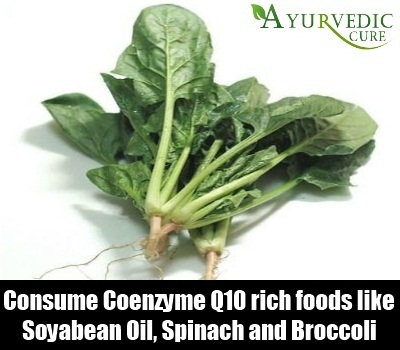 Foods that are rich in CoQ10 such as, red meat, especially the organs, fatty fish, apple seeds, canola and soyabean oil, spinach, broccoli, etc. should be consumed regularly. CoQ10 supplements can also be taken for this purpose. 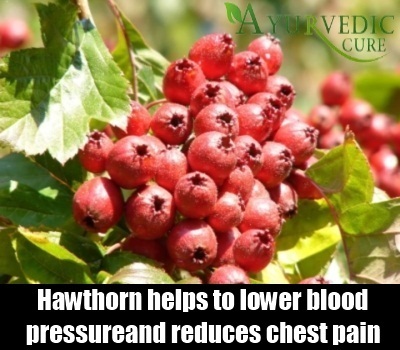 Hawthorn is a cardiotonic herb which helps to improve the heart’s pumping ability and helps to treat irregular heart rhythm. 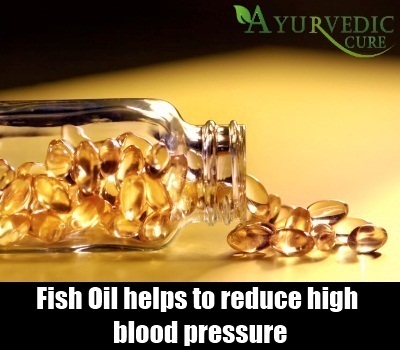 It also helps to lower blood pressure, reduce chest pain and arteriosclerosis, thus acting as a very effective natural cure for the treatment of congestive heart failure. You can consume hawthorn berries, or better still make a tea by soaking some berries in a cup of hot water for a while. Let it steep well for ten minutes and then have this herbal tea. 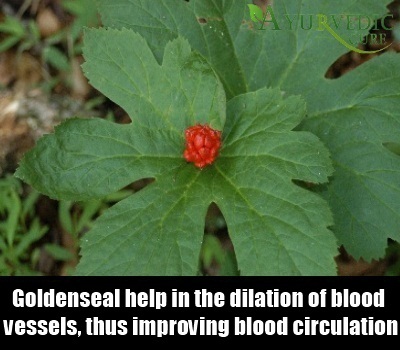 Goldenseal is an herb that is beneficial in the treatment of congestive heart failure. It contains a natural alkaloid called berberine which can help in the dilation of blood vessels, thus improving blood circulation. It can be taken by people suffering from congestive heart failure to improve heart function and relieve the symptoms like breathlessness, fatigue, and irregular heart rhythm. An herbal tea can be prepared with goldenseal powder and consumed regularly. Psyllium fibre reduces cholesterol and studies have confirmed that its regular intake helps prevent cardiovascular risk. 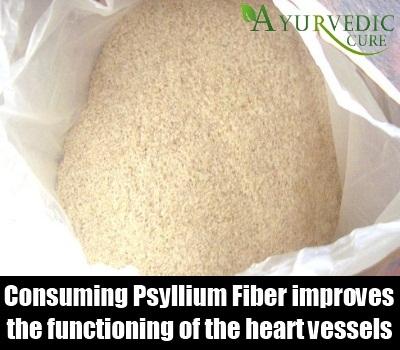 Consumption of psyllium also helps reduce blood pressure levels, thus improving the functioning of the heart vessels. This is very beneficial as a natural cure for people suffering from congestive heart failure. Add a teaspoon of psyllium to a glass of water and have along with the meals. This also helps regulate your bowel movements. The sodium in table salt can promote fluid retention in your body and raise your blood pressure. These conditions will worsen the symptoms of congestive heart failure. 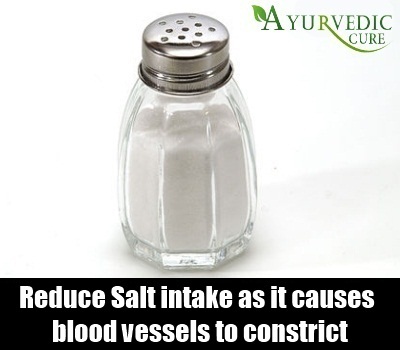 Hence, it is necessary to reduce your salt intake if you are suffering from this condition. Also, salt causes blood vessels to constrict which will result in lesser supply of blood to your already weak heart. So, it’s best to avoid it or have as less salt as possible. Research studies have confirmed that a deficiency in Vitamin D increases the risk of cardiovascular diseases and can cause heart failure in people. So, it is best to get it naturally from food sources such as dairy, eggs and cod liver oil. Of course, the most inexpensive and cheap source is sunlight. 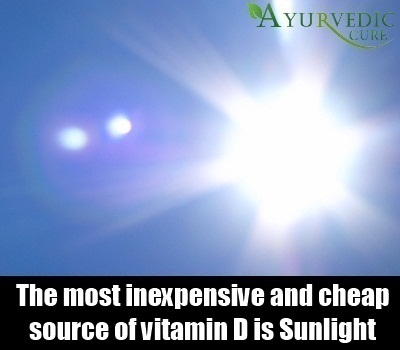 Get at least half an hour’s sunlight daily in order to prevent the onset of this condition. It is important to exercise regularly if you are suffering from congestive heart failure. A moderate exercise program, such as half an hour of walking daily, is good for your heart. You can also do some light aerobic exercises. 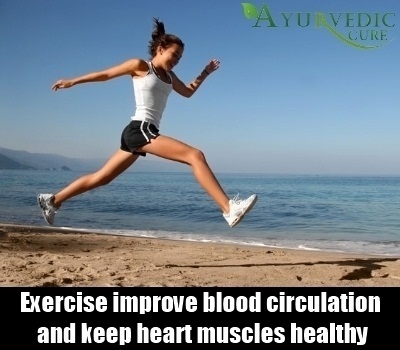 It will help improve blood circulation and keep your heart muscles strong and healthy. If you are not feeling well, it is better to take rest on such days. Congestive heart failure condition can make the affected person quite anxious and any added stress can worsen the symptoms. Learn to deal with stress with some techniques like deep breathing, meditation and yoga. They help to lower the blood pressure and provide you with cardiac benefits as well.